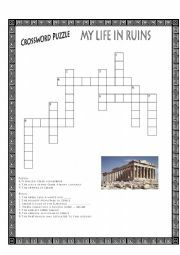 Three warm up activities for the movie "My Life In Ruins"; crossword puzzle and word search about Greece and a "Who Said It?" exercise. Key for Crossword puzzle and "Who Said It?" included. 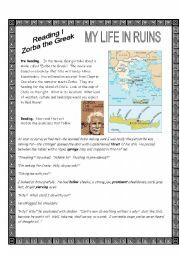 These are three readings I used in conjunction with the movie "My Life in Ruins". Key is included. I used this listening in conjunction with the movie "My Life in Ruins". You can find the listening on Youtube http://www.youtube.com/watch?v=gY0Uu6S74Rw. Key is included. 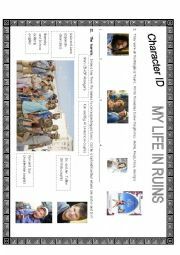 Worksheet to identify the characters in "My Life in Ruins". 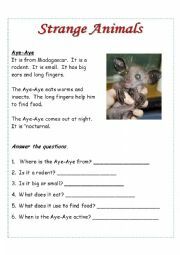 Six very easy readers for beginners. 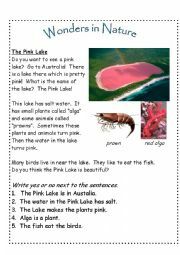 Each reader deals with phenomena in nature -- The Pink Lake, The Oarfish, Venus Fly Trap, Moeraki Boulders, Northern Lights and Geysers. Each reader has a task. 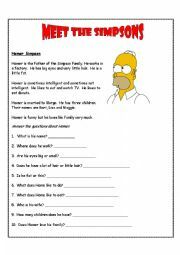 Six easy biographies for beginner readers (SET 2). 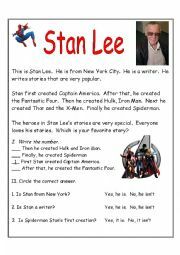 Includes bios on Stan Lee, Queen Elizaeth, Mother Teresa, Soichiro Honda, Colonel Sanders and Michael Jordan. Each reader has a task.